Graduated with Business degree – Corporate Finance from Seattle Pacific University 1994. Ausy started her career in Unilever Indonesia 22 years ago. 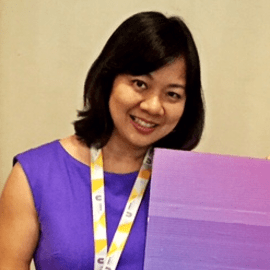 She is now the Managing Director for Unilever Enterprises Indonesia (UEI) the incubator of nascent categories for Unilever Indonesia. Ausy has developed strong sense of marketing and consumers insights. Ausy’s success brand story includes bringing Lifebuoy as No. 1 soap brand, Sariwangi as No. 1 tea brand and Bango to No. 1 soya-sauce brand in Indonesia. She was also recognized as “Women to Watch” in Asia Pacific Marketing – Campaign Asia 2014.